A group of Golden Gate Bridge, Highway and Transportation District workers comprised of mechanics, servicers and dispatchers announced plans this afternoon to go on a one-day strike over contract negotiations next Friday that will stop bus service between the North Bay and San Francisco. Employees of the Golden Gate Bridge, Highway and Transportation District and their supporters gathered near St. Francis Yacht Club in San Francisco near the Golden Gate Bridge this afternoon to announce their decision to hold a one-day strike next week. 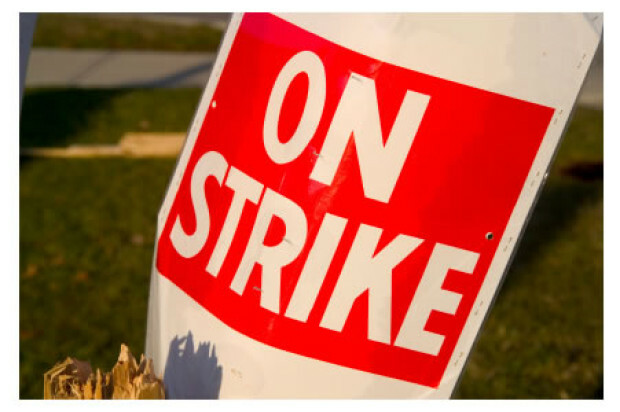 The strike is the third by members of the Golden Gate Bridge Labor Coalition. A union of machinists held a strike on Sept. 16 that did not affect transit service and ferryboat captains held a strike on Sept. 26 that halted ferry service that day. Tim Jenkins, a labor representative of the International Brotherhood of Teamsters Local 856, said the District’s bus workers, servicers, mechanics and dispatchers work hard and fear that the new contract proposed by the District will deprive them of quality, affordable health insurance. Jenkins said that the District is trying to push workers into paying into high deductible health insurance plans. Doug Michener, a dispatcher employed by the District for the past five years, said today that he would be directly impacted by an increase in the cost of workers’ health insurance plans. Michener, a Novato resident, said that he currently pays about 10 percent of his medical costs out of pocket, while the District pays 90 percent. Under the proposed contract, which would begin July 1, 2017, his out of pocket expense would be about 40 percent with the District paying the other 60 percent of the cost. He said the District is trying to pressure workers to opt in to a high-deductible plan or it will raise workers’ premiums by at least double their current rates. Michener said that a lot of his friends depend on the bus to get around and that a strike is the last thing he wants to see happen. “Just like everyone else, we’re trying to have affordable healthcare,” Michener said. Lisa Maldonado, executive director of the North Bay Labor Council, stood with the workers this afternoon and offered her support. Golden Gate Bridge Labor Coalition co-chair Alex Tonisson, representing 13 unions totaling about 450 bridge, bus and ferry workers, said the strike would begin at about 3 a.m. on Oct. 17 and remain in place for the remainder of that day. He said bus drivers have promised to honor the picket lines, and that while all union members will stand in solidarity, the strike is not expected to impact ferry or bridge service. Tonisson said that the high-deductible, or Bronze health care plan under Covered California, is a “death-spiral” that sets up workers to pay less now but far more after 2018. In 2018, under the Affordable Care Act, a 40 percent excise tax will be imposed on employer-sponsored plans over $10,200, Tonisson said. The proposed contract would be “gutting” the workers’ health care plans, Tonisson said. Clemens said that the District doesn’t want any more strikes and has reached out to state mediation services to request help in negotiating a contract, but she said that the coalition has refused to engage in mediation. The announcement of the strike comes after machinists and ferryboat captains each staged one-day strikes last month. The issues that have been standing in the way of resolving the contract dispute between the bridge district and the 13-union coalition vary from union to union but cover issues such as wages, compensation for training and the proposed high-deductible health care insurance plan, among others. “The coalition as a whole is having problems with the district,” Tonisson said. He said the district has projected surplus revenue of roughly $138 million over the next five years. 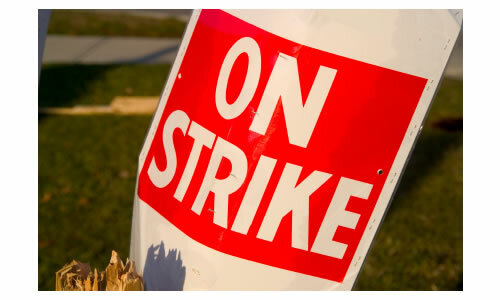 The strike comes is the latest labor action by the Coalition of union workers in contract dispute with the bridge district that has left employees without a contract since July 1.